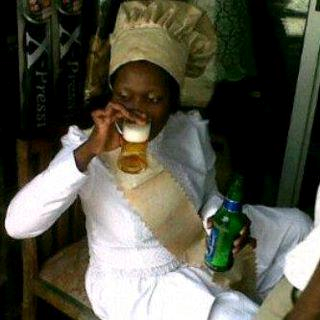 Photo of the Day: She’s a servant of the Most HIGH! It all makes a bit more sense now, doesn’t it? During church worship when people raise their hands in the air and sing, “You are my morning star!” We’ll never again assume that we all mean the same thing. =))º°˚˚˚°ºнaĦaнaº°˚˚˚°º‎​=)) ! Jah Jah Jah! Gbagain! *thats the sound of the bell they always use.